Banks are throwing money at FinTech, hoping to crack the code. But will they move fast enough and invest wisely enough to succeed? That’s the 64-million-dollar question. Entrepreneurs have that special ability to join the dots, pivot and adjust their offering; and the successful ones develop a strong business frame rather than a business model, write Anwar Jumabhoy & Srikrishna Vadrevu. Singapore startup Tagg wants to give brick-and-mortar companies digital stores to help customers find discounts and promotions, but has had to face technical and business challenges. iflix Group announced it has surpassed one million members, and also welcomed David Goldstein as special advisor. 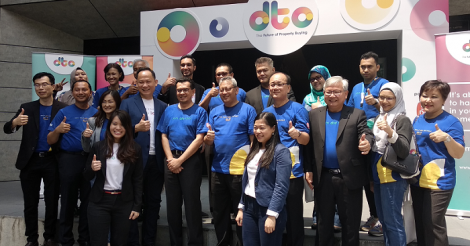 500 Startups will be launching its ‘Distro Dojo’ accelerator programme in Asia, supported by the Malaysian Global Innovation and Creativity Centre (MaGIC). Celcom Axiata Bhd, a mobile operator wholly-owned by Axiata Group Bhd, hopes to kill two birds with one stone with the launch of a series of loyalty programmes on Wednesday (April 9).